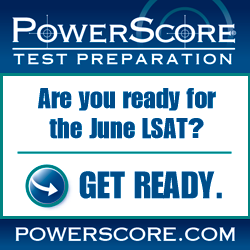 With the June 2014 LSAT just around the corner, you may be taking a look at how your prep is going and thinking that you are simply not ready for the test. There’s no shame in this; in fact, knowing when you are or are not ready for the LSAT shows a great deal of self-awareness and respect for your law school application. If you know you’re not ready for the test, then there are a number of options available to you. We’ll discuss each of them in detail so that you have all the information necessary to make the best decision on or before test day. A while back, LSAC announced an additional “withdrawal” option for LSAT test-takers. Prior to the introduction of the withdrawal, the only option available for students who missed the test date change deadline (which is a whopping three weeks before the date of the test) was to either cancel their score or not show up to the test at all. However, this new “withdrawal” option allowed students to withdraw their LSAT registration right up until midnight on the day before the test with no adverse consequences other than the loss of their registration fee. The withdrwal doesn’t even show up on your LSAT Score Report. So, if you’re not feeling like you’ll score your best on test day, know that you have right up until midnight of the night before to decide if you want to take it. Check out option #3 on this page on the LSAC website for more information. This is exactly what it sounds like. You just don’t show up. Will this look bad on your record? Not if you only have one absence. Many things can happen the day of the test that can result in you not showing up: car trouble, a family emergency, sudden illness–no one is going to fault you for having a single absence. You might want to provide a brief explanation via an addendum on your application, though, given that an absence does show up on your record and law schools know that you had the chance to withdraw your registration right up until midnight the day before. Also, remember that if you don’t show up, you forfeit your registration fee. Cancellation option #1: Show up to the test, and cancel before you even start. Cancellation option #2: Show up to the test, take it, and then cancel immediately after. Cancellation option #3: Show up to the test, take it, and then cancel up to six days after it. Out of the three cancellation scenarios, options #2 and #3 are (in my estimation) the best ones. A cancellation will show up on your record no matter what, and you won’t get your registration fee back regardless, so why not take advantage of the fact that you paid good $$$ to take the test and actually go through a real testing experience? There is no discernible difference in which one you choose between #2 and #3, except for one thing: If you miss the deadline for #3, whatever score you get is going right on your record. And LSAC is a stickler about that deadline–if you miss it, they’re not going to let you cancel. If you cancel immediately after, there’s no reason for you to worry about missing any deadline. So there you have it, folks. If you’ve decided that you’re not ready to take the LSAT, but have missed the date change deadline, those are your options. Think on it and choose wisely! Photo: “Class Dismissed” courtesy of Robert Donovan.